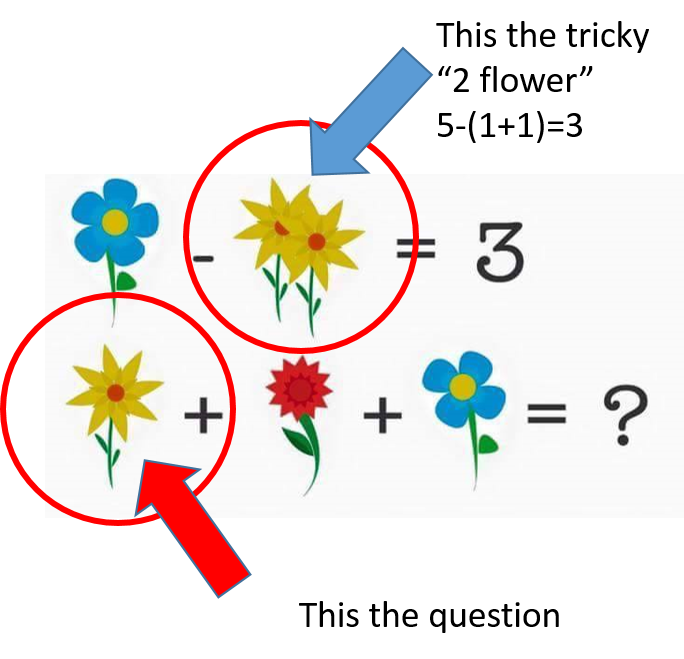 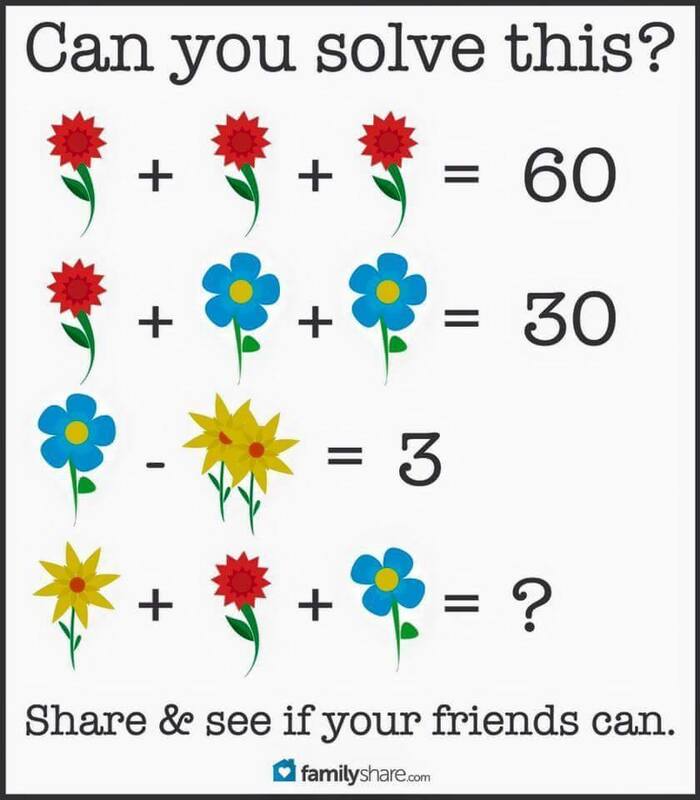 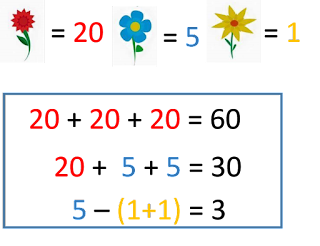 Basically its a simple math question, but some how the more old, the more difficult to visualize the flower. 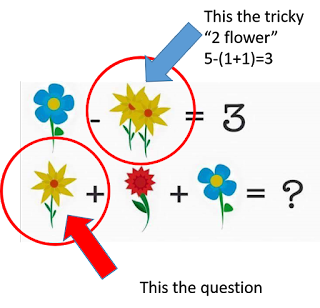 Why yellow flower is only value 1 not 2 ? 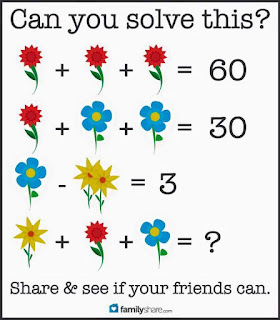 છેલ્લા ફુલને 4 પાંદડી છે.